This review is a warning, don’t trade with Wealthy Trader, it is a binary options scam. It is presented by Nelson Roosen. Wealthy Trader is a binary options robot, that allegedly can make you thousands of dollars per day completely on autopilot. According to Roosen, the software will generate trading signals and execute them automatically on your account. Roosen is now giving away Wealthy Trader for free allegedly to only 20 people. So can you become a millionaire for free? In reality Nelson Roosen is a fictitious character created by scammers with the sole purpose of making you believe that Wealthy Trader is a profitable software. But it is not, it is a scam. When you see people in the Wealthy Trader video saying that they are making money with this program, you have to know that they are all liars that have not even used this trading software, let alone made money with it. These people are just paid actors that provided fake reviews for money. They just read a text that scammers who run this program sent to them. We have reviewed more than 600 binary options scams, so we have a pretty solid overview of what is on the market. This is why it was very easy for us to see that Wealthy Trader is a scam. The proof is in the trading software. It certainly is not a unique app created for this opportunity. It is a universal app developed and used by scammers only. We have seen it used by dozens of binary options scams. 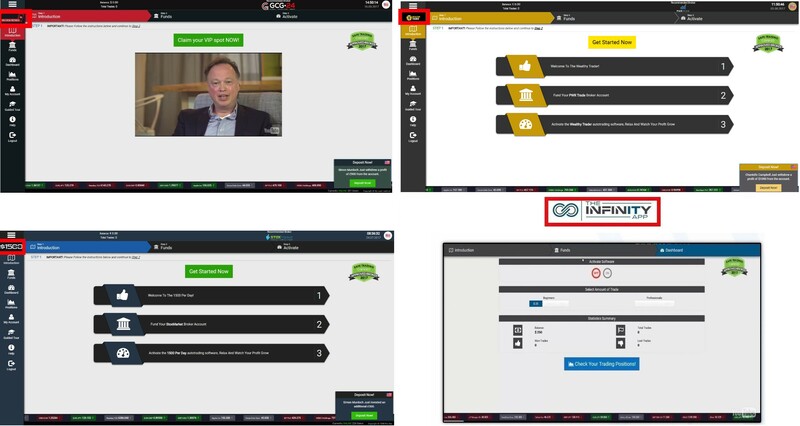 Look at our picture to see some examples of other scams running on this same software, like The Infinity App, My Cash Method and 1500 per Day. We have a lot of feedback from real users about this software, so we know for sure that it is losing money in real trading. So how does Wealthy Trader really work? You see, it is not really free. Because the software won’t be active until you deposit at least $250 with an unregulated broker – PWRtrade. Scammers are affiliated with this broker and they get paid by this broker for referring new depositors. This is the whole story behind Wealthy Trader. By the way, PWR Trade is known to be a scam broker, we hear a lot of complaints about it. 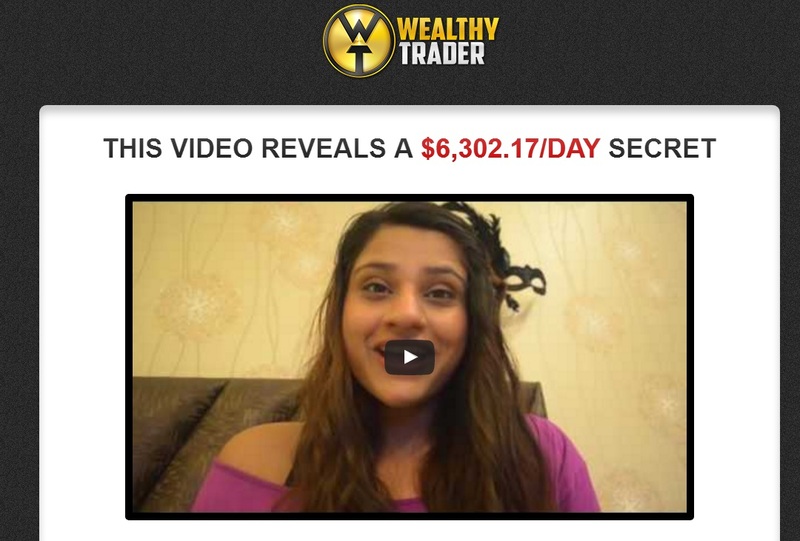 Wealthy Trader is a scam that will make you deposit and lose money with a scam broker. Stay away from it! If you want to see how binary options trading really works and how you can make money if you manage to build a profitable strategy, try a free demo account with a regulated broker. Forget about free binary options robots, they are all scams.